Jorge Martin, secretary of the Hands Off Venezuela campaign, gives an eyewitness report of the current turbulent events in Venezuela, where violent anti-government opposition riots and protests - supported by the oligarchs, imperialists, and right-wing media - are attempting to overthrow the democratically elected Maduro government. Jorge answers the lies and distortions of the biased media and explains the real interests that lie behind these reactionary demonstrations. 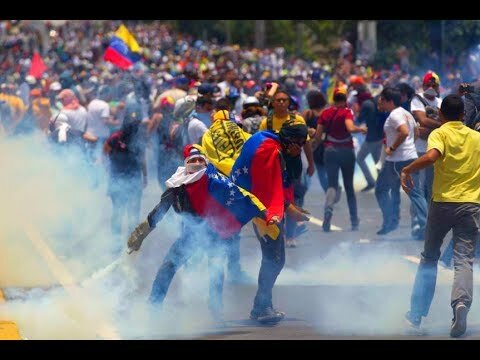 Most importantly, Jorge analyses the reasons behind the economic crisis in Venezuela and explains why the Bolivarian revolution has stalled.